Ángel Arocha (Santa Cruz de Tenerife, 1907 – the Ebro front, 1938) is considered one of the leading goal scorers in the Club’s history, with an enviable record of 215 goals in 207 games. 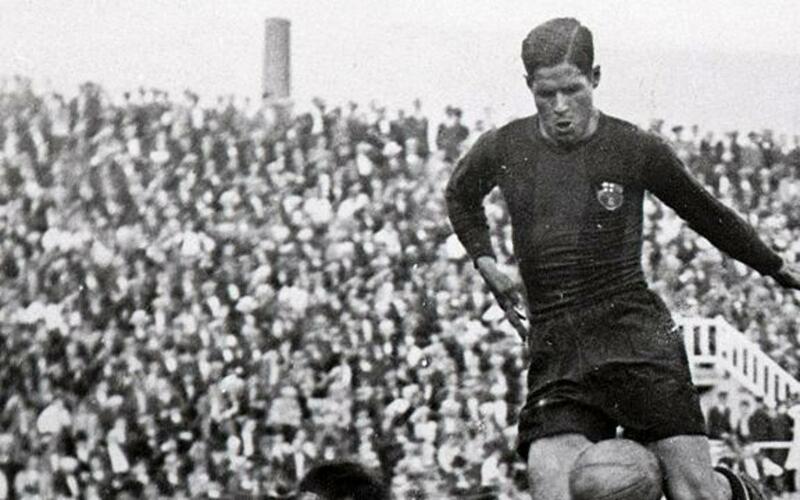 He signed for Barça in April 1927 from Tenerife charged with the difficult job of substituting the legendary Paulino Alcántara, who was about to retire. A regular first choice striker for the team, he left an indelible mark on his teammates and the fans with his character and his commitment to Barça. He was the President of the celebrated Club peña Piera-Sastre-Arocha, with his teammates Piera and Sastre, which was later re-named the ‘Casal Barcelonista’. Arocha lost his life in the Civil War after joining the Francoist army, when he was killed on the Ebro Front in 1938 – a tragedy that was mourned by both sides.